Is there a better way to start a new year than with a great New Year’s resolution? With the Local Training Course (LTC) taking place from 10-11 of January 2014, Lyon’s AEGEE members charged their batteries with a lot of energy and motivation for the new year. A lot of goals have been set privately and within the antenna and with the help of Maartje Natrop, our trainer for the weekend, these goals should be easily realized by the end of the year. Maartje, the speaker of the AEGEE Academy, a pool of trainers of AEGEE (European Student’s Forum), turned our weekend into a flourishing and interesting experience. 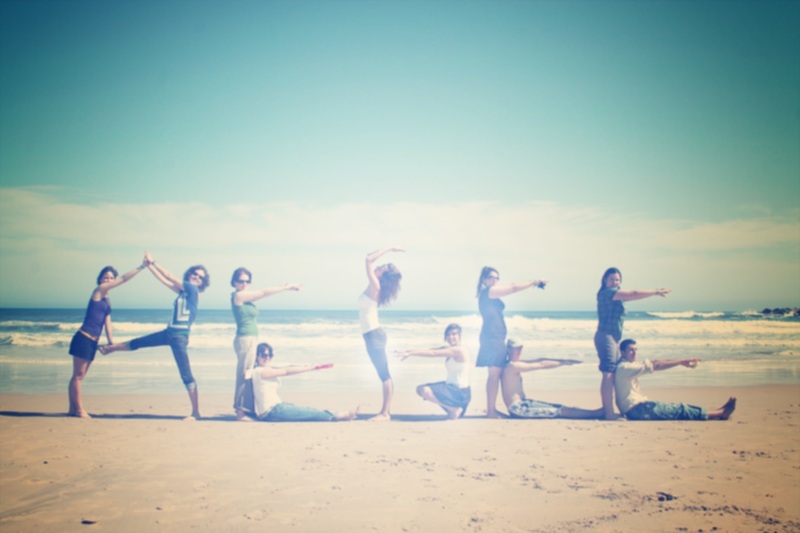 Not only did we learn how to power up ourselves, but also how to energize each other and most importantly our antenna. For those who had only recently joined, the training offered a great opportunity to get to know the principles of AEGEE and some of Lyon’s members. The first session ‘Power Up Yourself’ was, as the name already gives away, concentrated on our personal aims. Goal setting, time management and motivation were the three key points on the list. Not only did it help to understand how important it is to clearly define our goals but also how to set up a plan that is realistic enough to get there. A combination of motivation, discipline, structure and fun will eventually get you where you want. One of the many things that make AEGEE outstanding is the fact that different kind of people come together and start working as a team. A team is made up of different types of people, but sometimes we are not a hundred percent certain what kind of position we take on when working in a group. Session two was all about powering up each other: finding one’s position in a group, building team dynamics and developing conflict management strategies. Those of you who have not tried or heard of the Belbin test should be googling it right now. With the help of this fantastic test that takes up about twenty minutes it is possible to find out what your strengths are when working in a team. It is astonishing if not scary to see how much the end-descriptions resemble one’s personality. 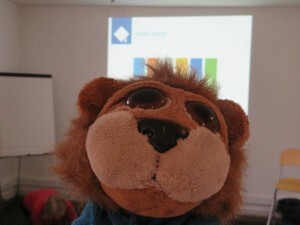 Still being a very small antenna, AEGEE-Lyon made especially use of the third session: ‘Power Up Ur Antenna!’. People are the essential key to what AEGEE does and that is why it is important to keep your current members active and interested while recruiting new ones. Despite the size of Lyon’s antenna, its diversity and commitment led to the decision of organizing a Travel Summer University with Genova this year. 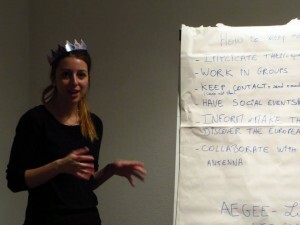 With the help of Maartje’s lovely personality and talent and the team spirit of our members it was possible to remind ourselves of what it is that we personally want to achieve within AEGEE, where and how we would like to get active and deepen our understanding of empowerment and team dynamics. As a new member to the association, it was an amazing experience to see the progress that was made by the end of the day. Getting to know each other, exchanging ideas and learning about the uniqueness of the organization got me all excited to get involved. It was a productive weekend that got us excited about what is coming up this year. We would once again like to thank Maartje for making this weekend so special and we can’t wait to see some of you in Lyon this summer. In the meantime do not forget: Life is Your Own creatioN, Let Yourself go Over the Nations! So get motivated, get active and get involved!